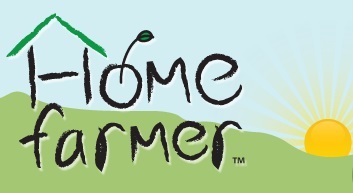 I'm super excited to be working with Home Farmer this year on a garden. We've been wanting to grow a garden for a long time, but by the time we think about it, it's way too late. This year we got a good head start though and I can't wait to see what the year brings us produce wise. I was very lucky to be sponsored an entire garden by Home Farmer though. They sent me a TON of seed packets to get my garden started. I got a ton of loose seed packs as well as 5 reusable shopping bags! Each box had 4 kits of one kind in it. The 6 kits I got were Veggie, Salsa, Herb, All American, Super Greens and Tomato. Each one of the boxes in the kit has 4-5 seed packets in it. It is a bit overwhelming at first because there's so much to choose from and what you're going to plant and when and where. But it got easier as I went along. We don't have enough space to grow each variety unfortunately, but We can do different ones next year as these seeds will still be good then. So in the house this past weekend I got started Lettuce, Green Pepper, Sweet Peppers and Cucumber. Lettuce and Cucumber can be direct planted straight in the garden, but I figured I'd give them a head start inside. Once they sprout I will brush the leaves with my hands to simulate wind and so they can get used to being in an outdoor environment. We got one 4X4 raised garden bed where most of this lovely stuff will go! I have since planted 1 row of carrots in here as well on the right side. I have planted onions in the bare ground and I will plant my cucumbers there ultimately since they're way too big for the raised bed. I need to try and find a way to keep the animals away from this too because otherwise we won't have ANY produce this year. Home Farmer guarantees their seeds will grow and you only need 1 to do so, a lot of seed packets say plant 4-6 seeds and then thin out all but the strongest sprout. Home Farmer says you only need 1 seed and it's guaranteed to sprout! I sure hope so, it will make this process that much easier! I intend to also plant Zucchini, Spinach, Kale and possibly a few other things! You can find these seeds at most Wal-Mart! Overall: ***** so far!! I can't wait to get my garden growing and I will be updating with my garden when it starts growing! would love to try the herb kit. a great way to save money over buying expensive herbs at the grocery! I like the Vegetable Kit most. I really like the Salsa Kit too. I like the Casper Pumpkin. I've never ween a white pumpkin before. I like the Vegetable Kit. Thanks so much. I would like the salsa kit. I love the Super Greens kit and the Vegetable kit! I like the tomato kit! I'd like the Salsa Kit. I would love to do an herb kit! Love the Spring Salad Kit! Jester Basil! I love the smell of fresh basil. My favorite is the Sun Sugar Tomato. I would love to have the tomato kit. I really like the Herb Kit. I'd like to try their Commander Zucchini seeds. I use zucchini in desserts, and salads, as well as main dishes, so use a lot of them! Your raised bed looks like mine, and you're going to love it! As far as keeping critters out, I ended up having to use the chicken wire with the small holes. Good luck! I like the vegetable kit. I love the Sun Sugar Tomato! So sweet! Id love a salsa kit! I would love the salsa kit! I like the jester basil. I do not have a green thumb. I have murdered plenty of plants over the years but if I win I will have the grandkids help, maybe it will bring me some luck. I like the pumpkin kit and the vegetable kit. I would love to get the vegetable kit. It has all the vegetables we love best. I like the All American Selections kit. I'd love to try the herb kit. I would like the All America kit. I love the Salsa kit. Herbs!! We use so many! This would be awesome to win I have just started a garden with my boys! Salsa Kit because I love my husbands fermented salsa and well home grown ingredients would make it even better! I like the Candy Onion Seeds. I like the Big Beef Tomato seeds. I like the Spring Salad kit! Fanfare Cucumber or Big Beef tomato! I would love to grow the Champion Parsley. I am always in need of fresh parsley. I like the Salsa Kit. I have never tried growing herbs so I would say the herb kit. I would like the Better Boy Tomato Seeds. I would choose their tomato kit. I love ripe tomatoes fresh from the garden. Thanks for the contest! i would love to try the gypsy sweet pepper!